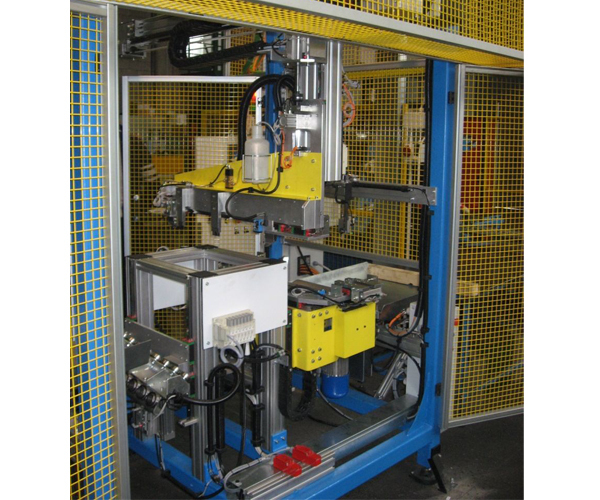 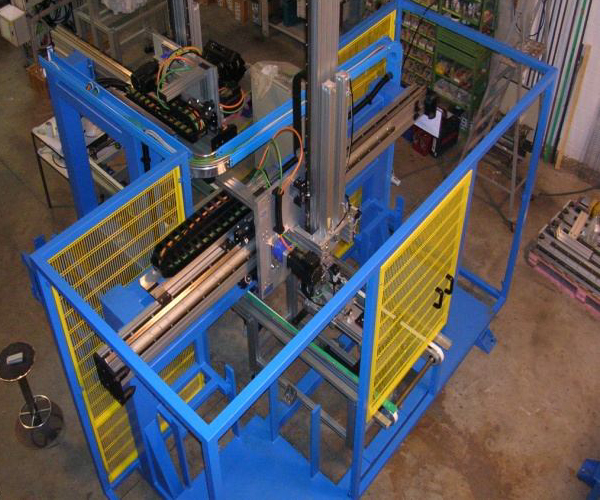 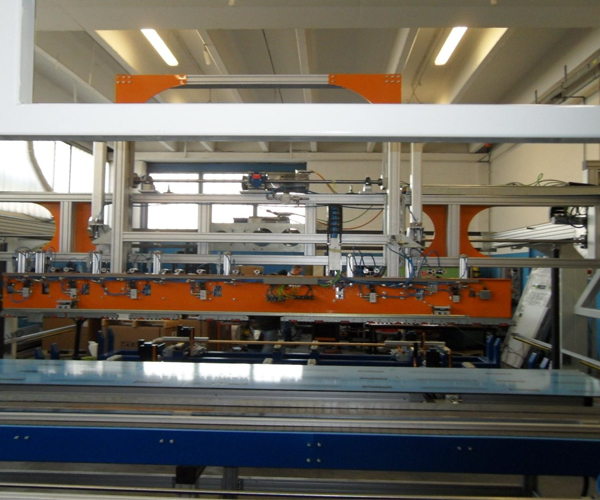 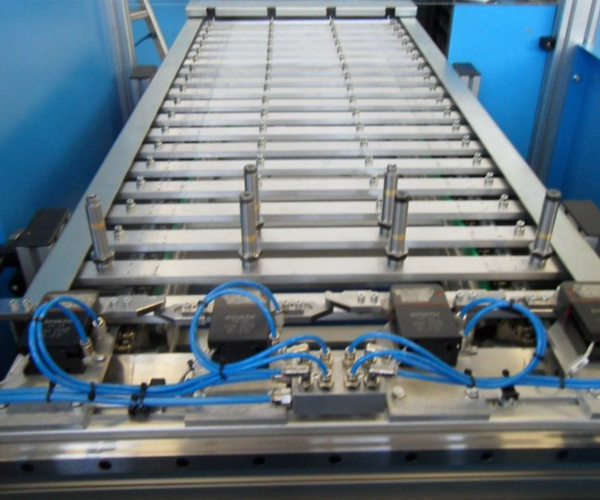 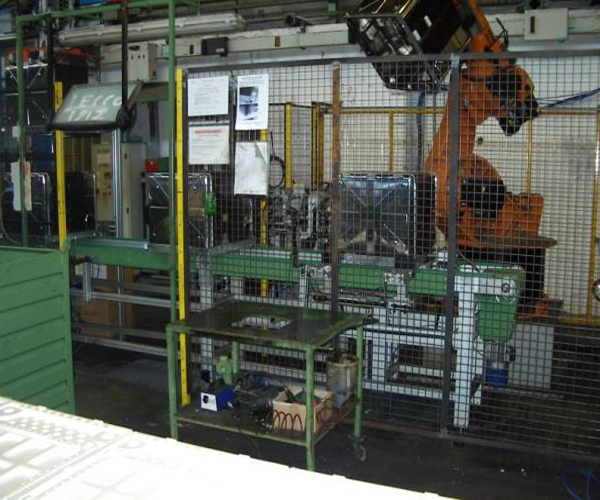 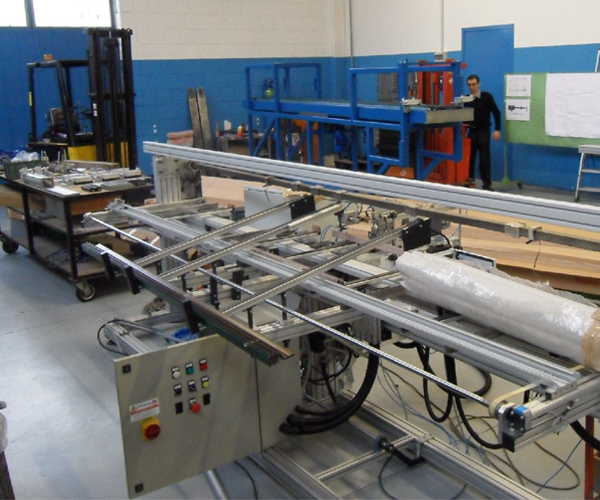 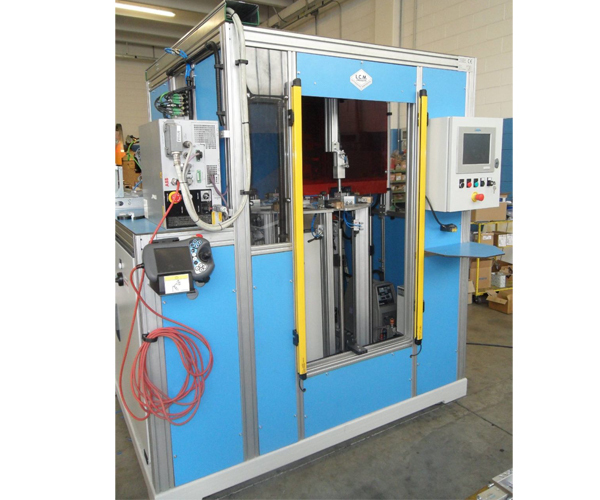 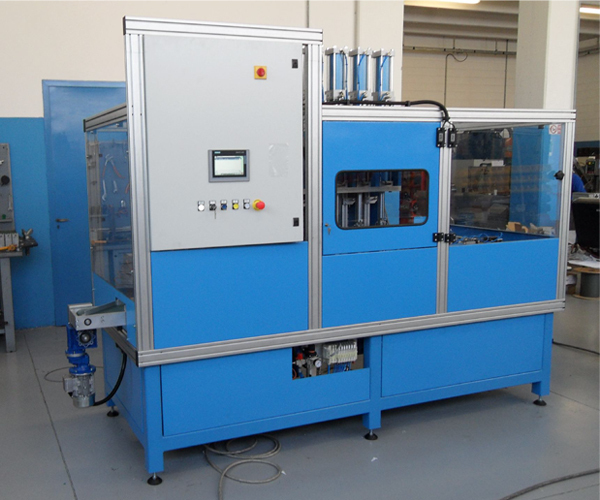 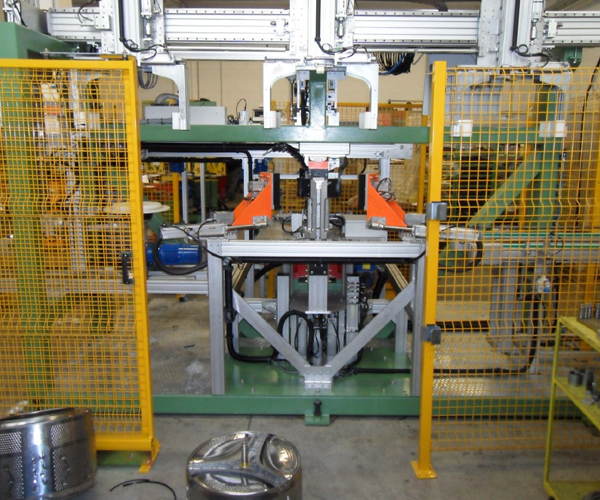 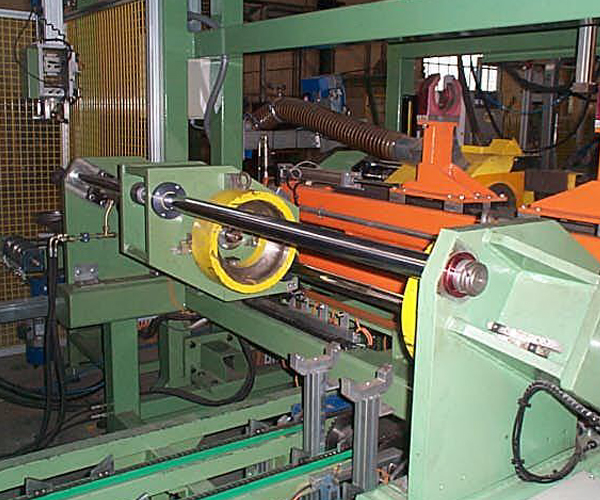 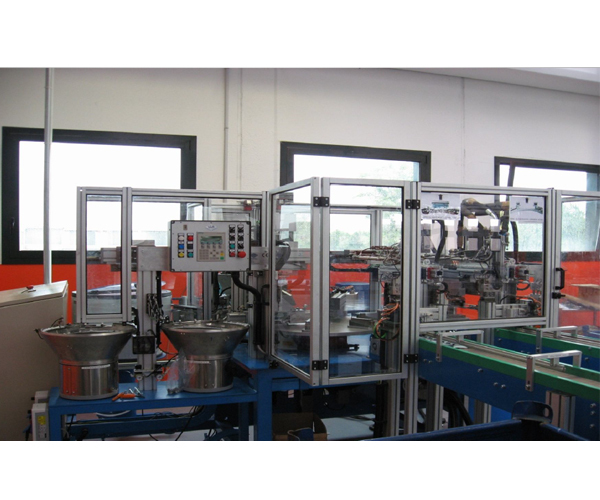 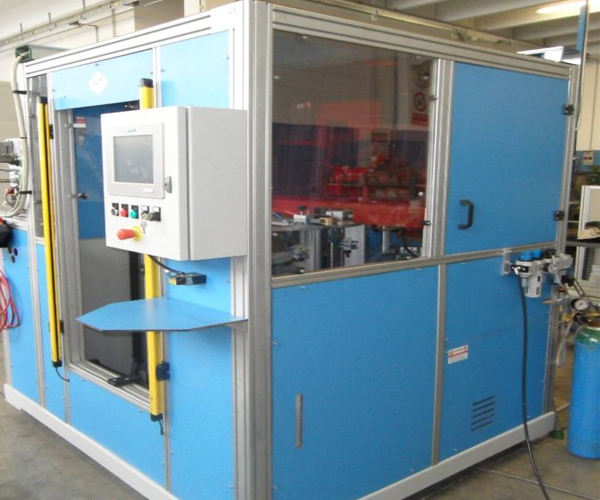 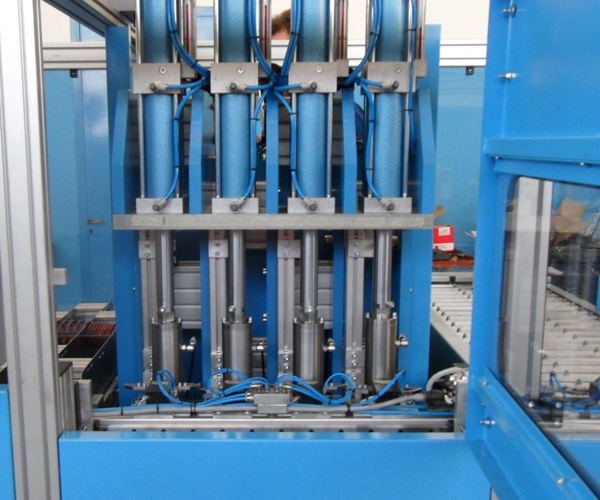 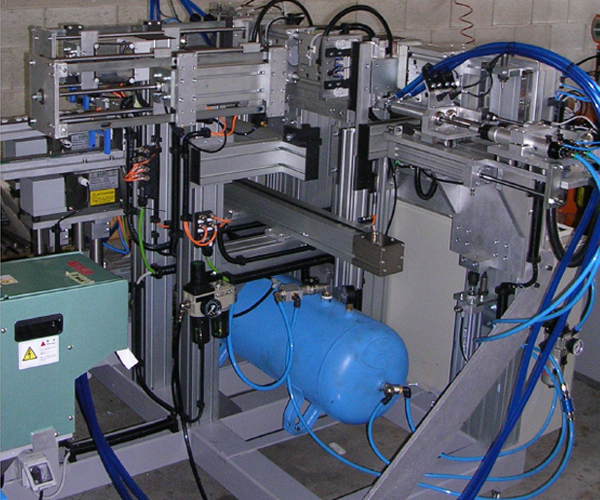 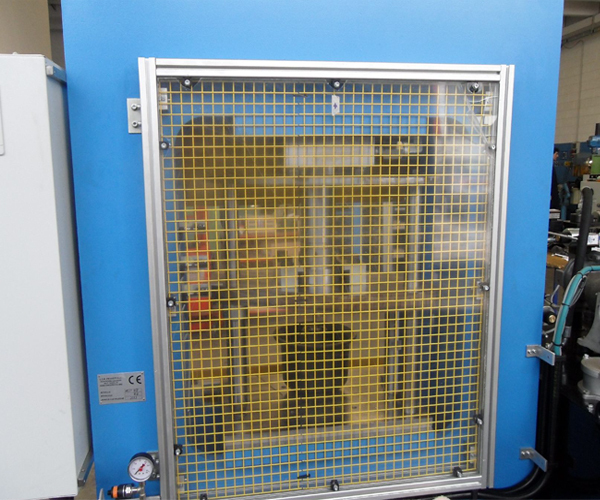 Since 1988 we have designed and built special automatic machines in several application sectors. 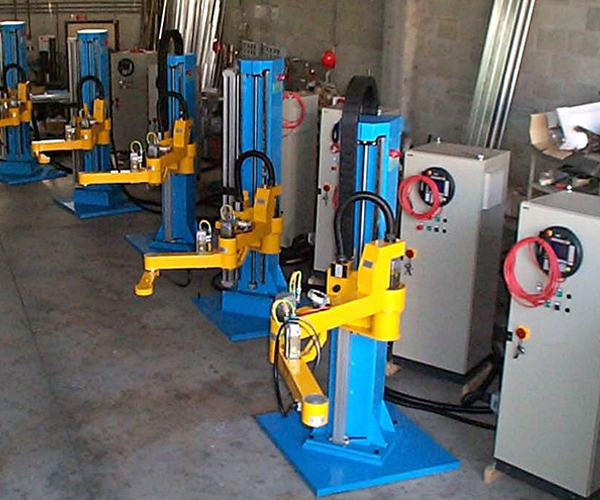 Our structure is based on the experience of our technicians and allows us to offer a valid and reliable product, and a very efficient after-sale service. 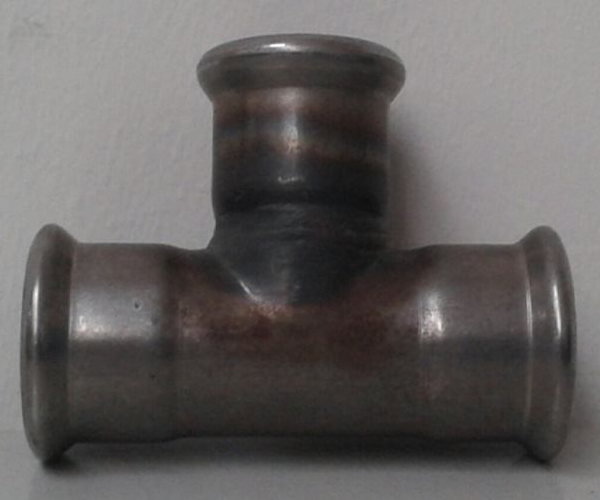 Founded as an engineering study, L.C.M. 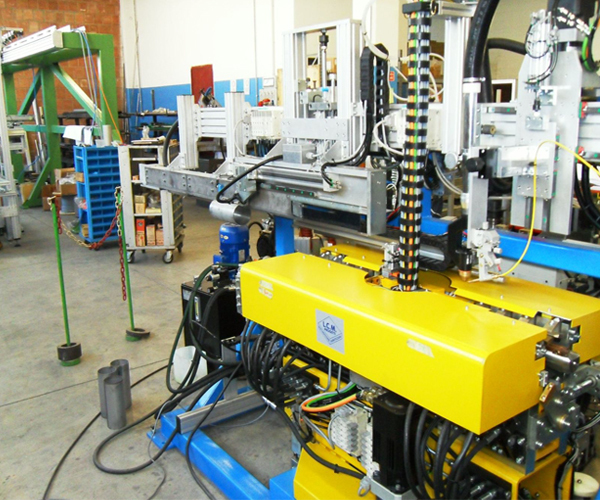 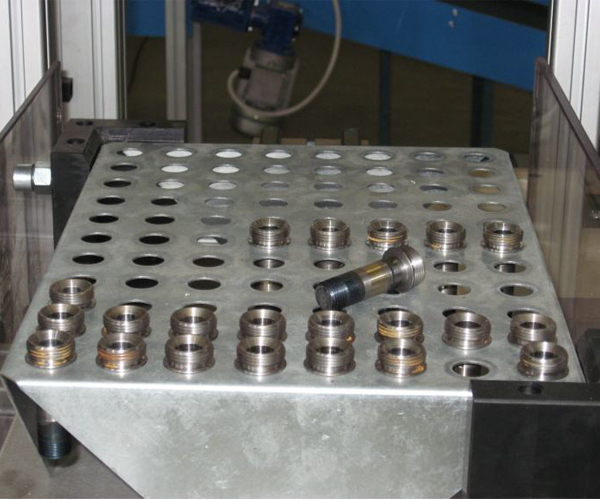 PROGETTI has developed a production department for the manufacturing of the machineries we design. 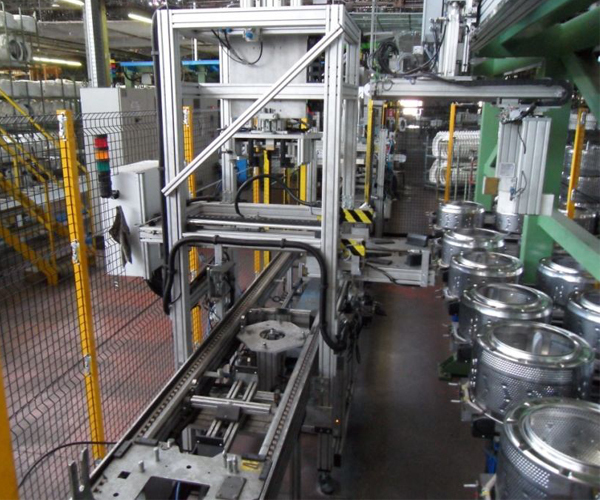 At the beginning the production was mainly concerned with the manufacturing of assembly lines commissioned by our costumers. 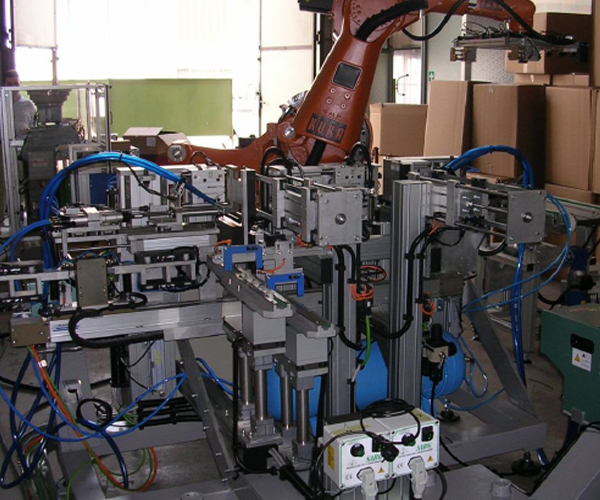 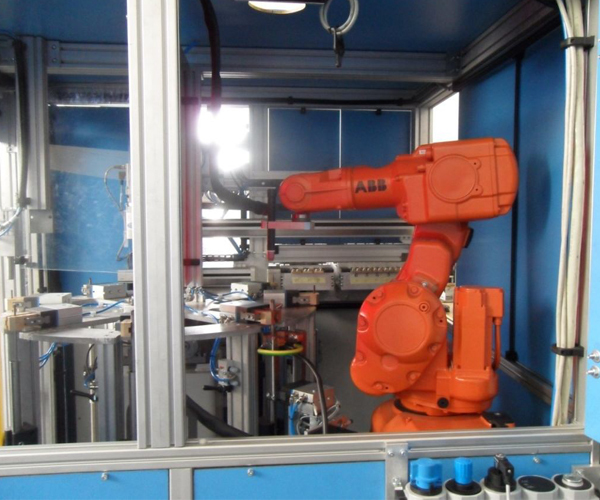 Some innovative products, totally developed by LCM, like our Scara Robot with 4 controlled axis, were used in the production and assembly lines engineered in those years. 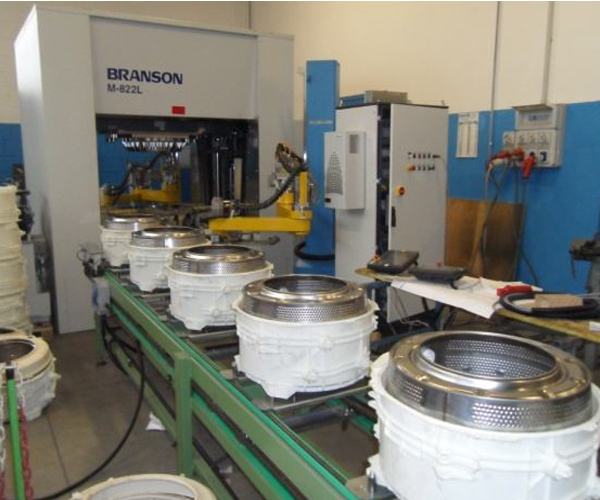 At the beginning of the new millennium the company's mission changed, meeting the new customer's desires. 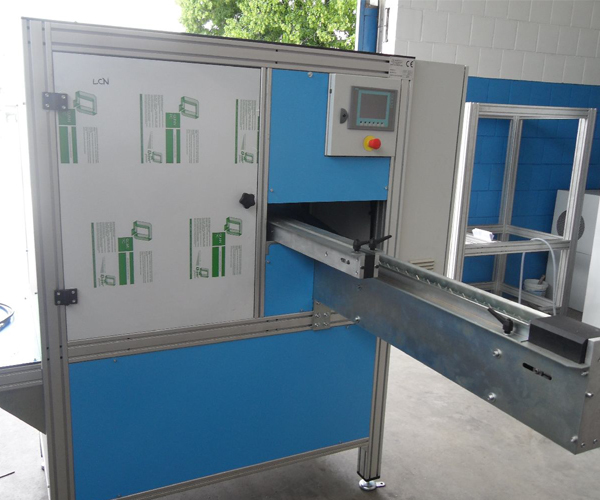 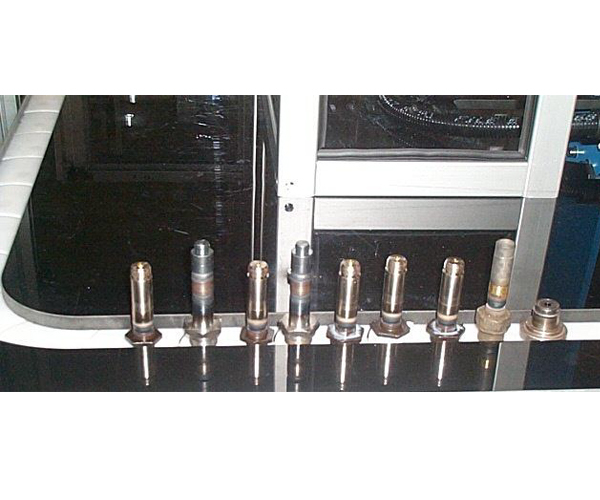 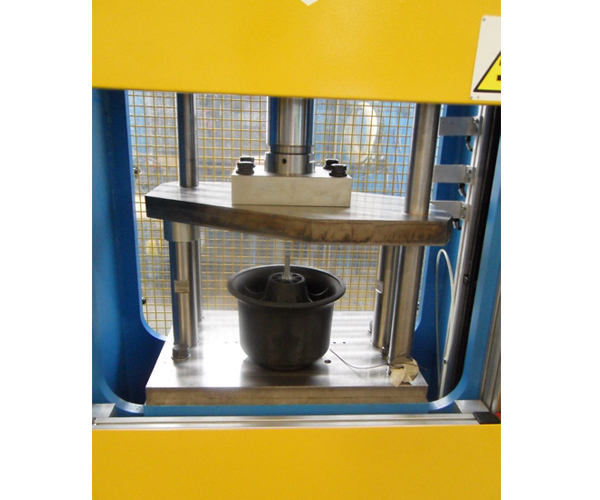 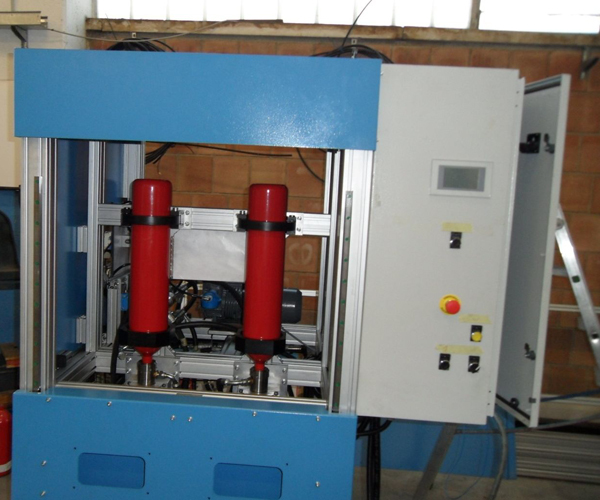 Complete testing lines and dedicated machineries to test the products are developed (e.g. 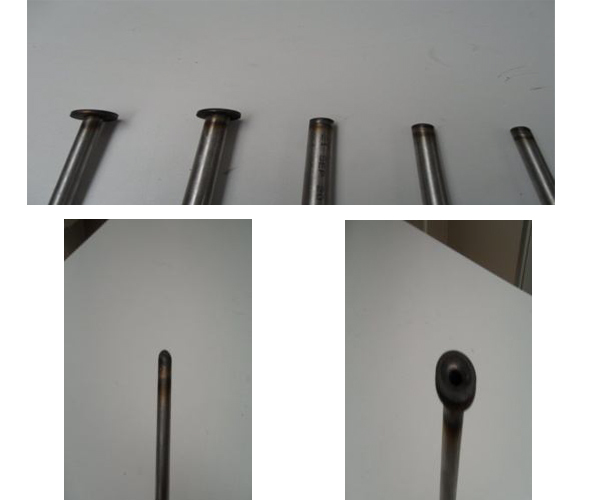 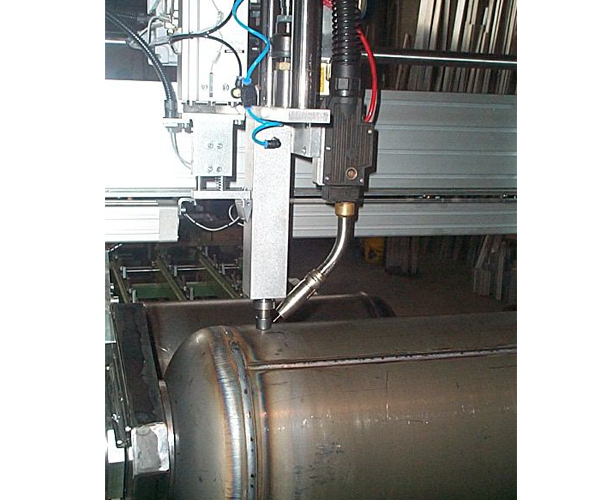 NDT Pressure test for welded parts, electrical insulation and rigidity, vision checks...). 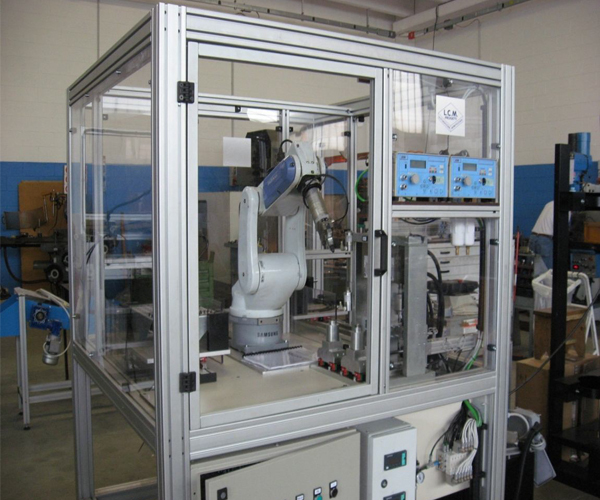 The production of automatic machines for welding was more and more empowered, with welding robots, gantries and automatic welding benches, with the most innovative welding technologies such as Plasma. 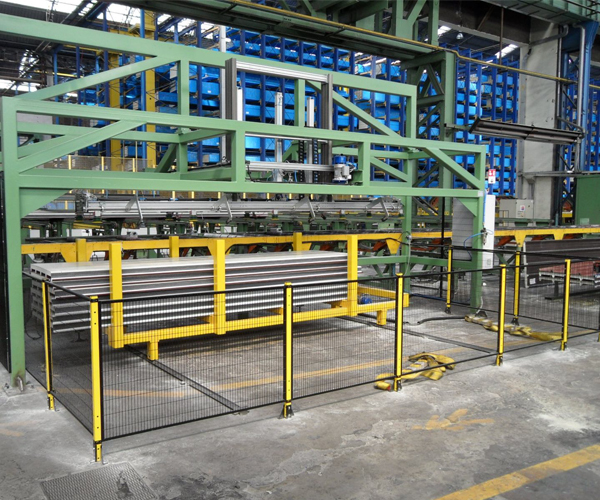 As a further change, the our core business became the production of metal working machines to improve the quality in our customersï¿½ production. 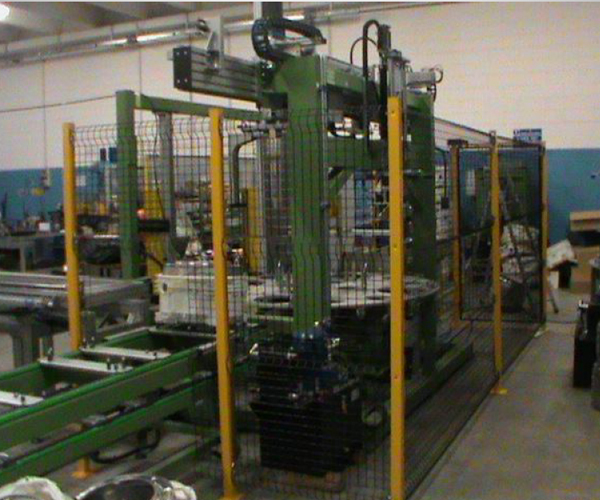 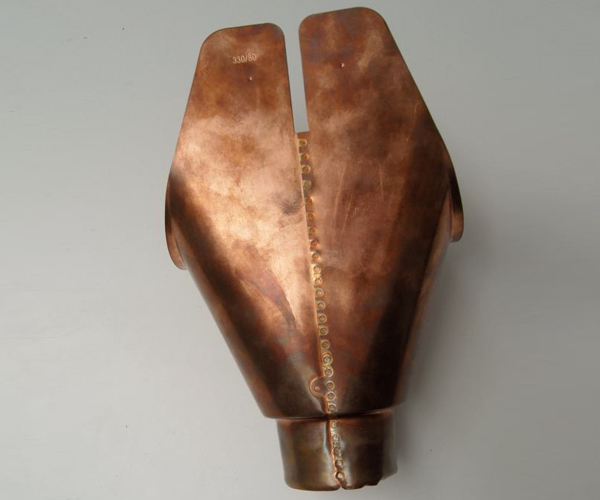 This machine welds rain collectors in copper, with a welding unit at double head the cicle time is of 35 sec/pcs. 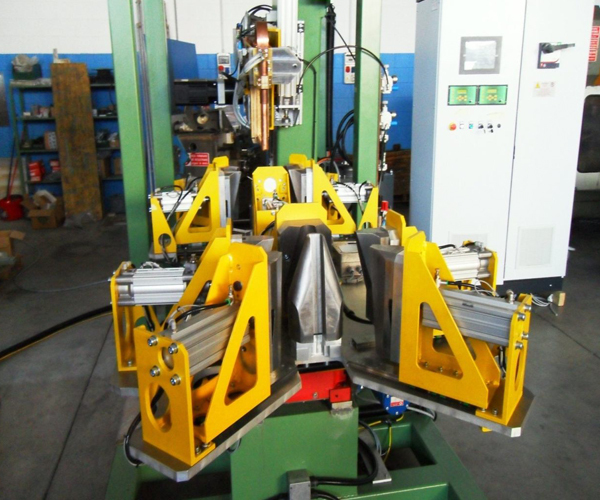 The bench where the collectors are placed is on a rotary table that allows to the operatore to load the piece not welded while the machine is welding the previous. 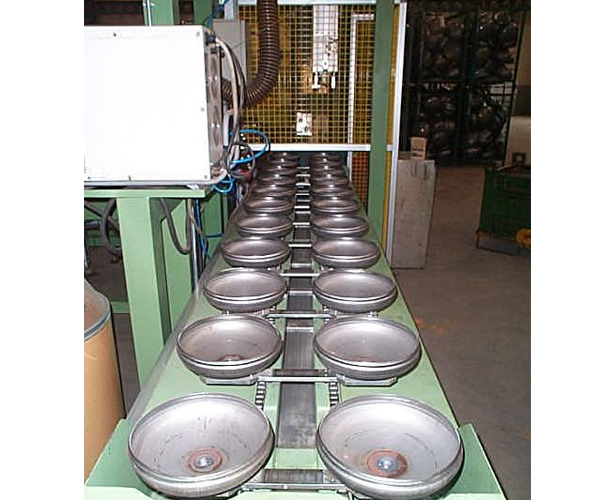 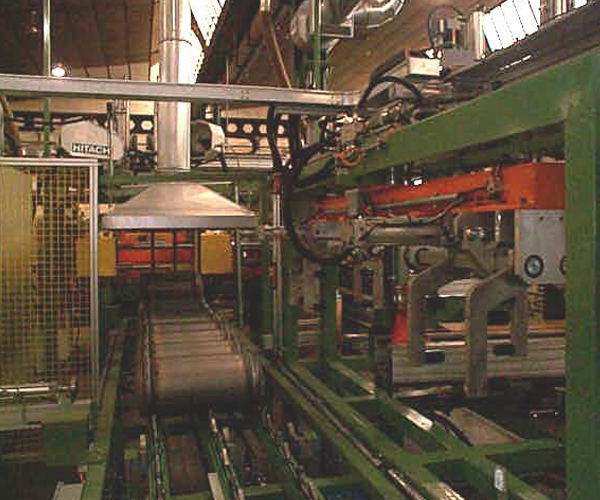 Mnaula loading of the tubes; automatic alimentation of caps anfd flanges folowing the scansioned bar code. 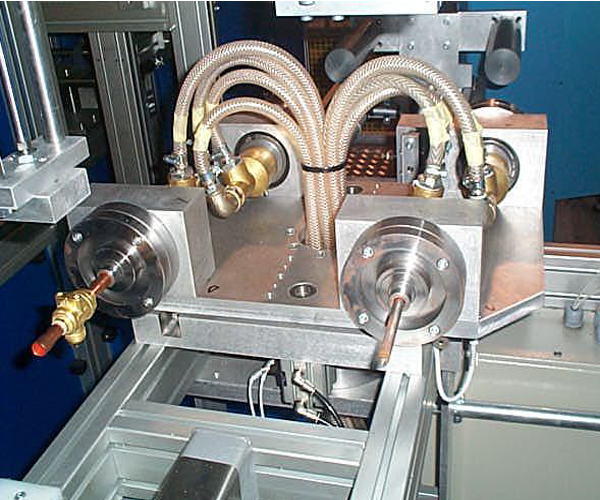 High pressure NDT-leak test for gas valves. 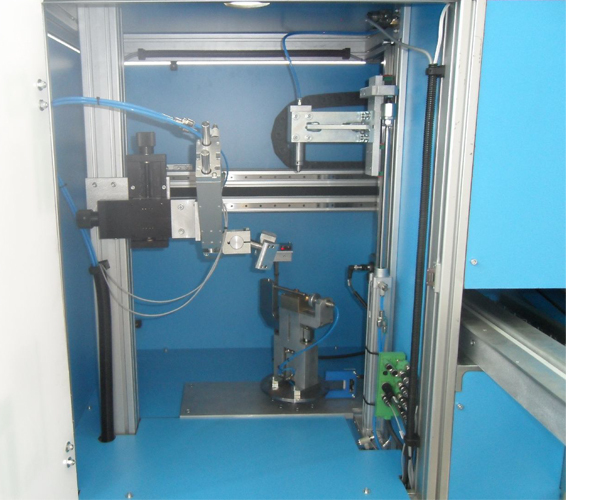 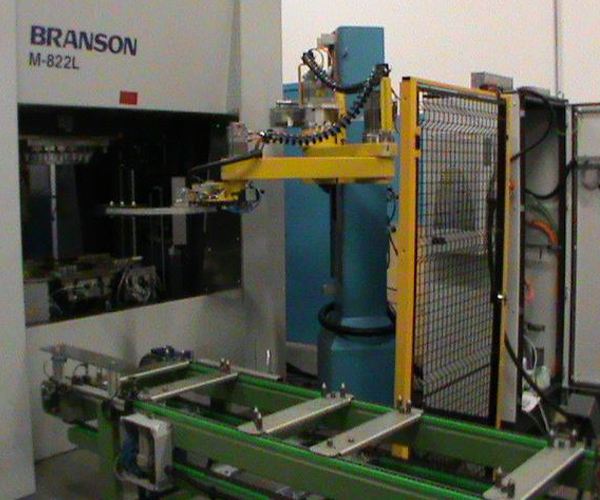 Handling with 6-axes-robot; the weld is checked at 30 Mpa with two independent electronic devices. 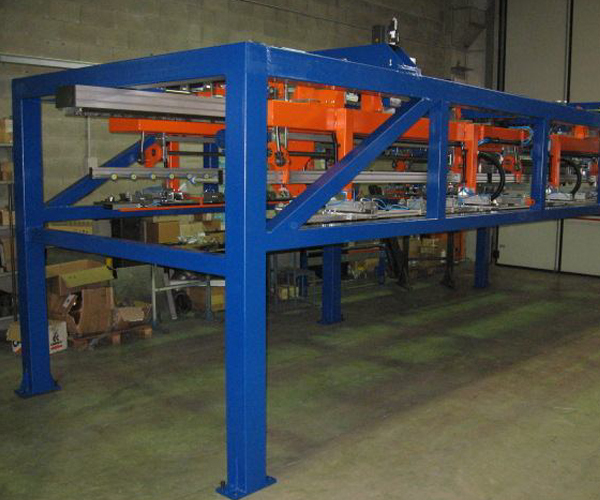 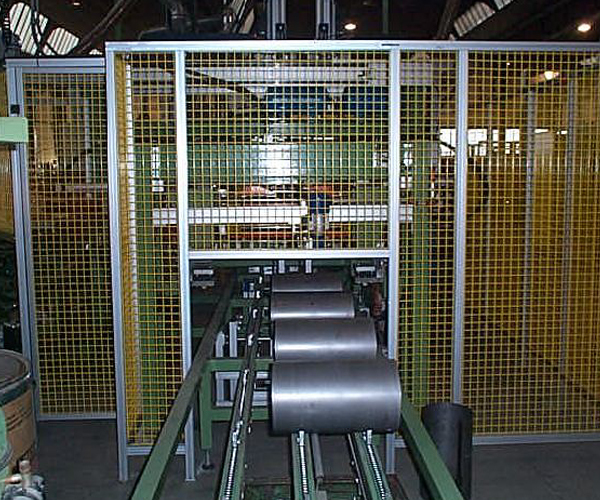 Stacker for sheet metal ï¿½ Max length of sheet 4mt., Width 2,5 mt ï¿½ These machines are used in Sheet metal processing lines.